Excellent Glasses and Customer Service!!! I’ve been looking for a new pair of sunglasses to wear while fishing the local lakes and inshore along the Gulf Coast. I researched long and hard, shopping the big names at my local sporting goods giants here in the Dallas area. The 2 companies I kept looking at were Costa and Smith. Each had their own drawbacks, which led me to look further. I crossed Costa off the list because of the poor adhesion of the rubber strip on the temple piece which falls off the frame if left in the heat, like in a vehicle. I can’t believe this issue still exists. The customer service people have reported after starting a claim is the second reason I wouldn’t purchase from Costa. Smith seemed promising with their new technologies, but when I called them about sizing nobody seemed to have the answers and they didn’t have access to a pair to measure to see if they would be wide enough. This is usually my biggest issue when buying glasses. I also asked about replacement lenses when, not if, I eventually scratch them, They were quick to state that lenses could not be replaced. This was a deal killer for me. I had never heard of RCI, but found a couple of forums where guys got rid of their other glasses and wear the RCI’s now exclusively. This was enough to get me looking, but I still didn’t find a lot of info out there. RCI…. I called 2 days before leaving for a fishing trip. I called and talked to Brian who has the same issue with fitment. He assured that if they fit his Asian melon head, they should fit anybody. HA HA Brian!!!! He also had a pair of Power Plants on hand and hunted down a ruler so we could discuss measurements against my Maui Jim’s. I’ve wanted to get away from glass lenses for my fishing glasses because of the weight, so being able to replace lenses if scratched is important to me. I’ve had my Maui’s since 1995 and have had lenses replaced 3 times and frames replaced once. When I informed him that I was needing them ASAP, Brian assured me they could ship them the same day. I received the glasses, and have used them on 2 trips. The first trip I caught a 7 lb 9 oz, a 5 lb, and a 4 lb Largemouth Bass on Toledo Bend Reservoir. The second trip I took the family out on a Lake Texoma Striper trip and we limited out with 36 fish, 8 of them over 10 lbs. My 11 year old daughter is complaining of her arms burning after fighting a 14 lb, and 2 other 10+ lb striper’s. I’ve convinced myself the glasses are the key to my success on these trips, or ??? My new Power Plants fit perfectly. Just wide enough in the right places, but not so wide they let a lot of sun in the sides. The other issue I’ve had with almost all sunglasses I’ve had is that my long eyelashes touch the inside of the lenses when they are pushed up on the bridge of my nose, smudging the lenses. NO CONTACT HERE!!! Take a look at the curvature of the lenses and you’ll see why. 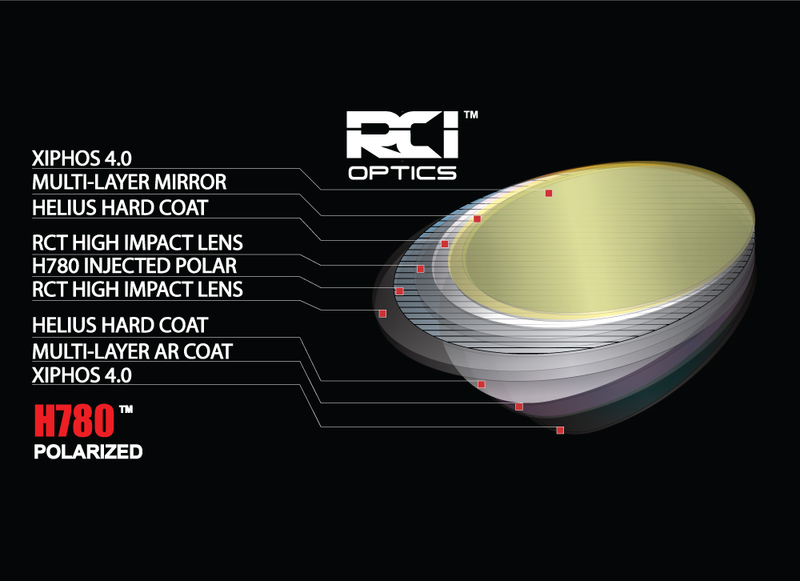 I want to thank RCI for caring enough about what they do in producing top quality optics with premium construction, and having the common sense to put people in place who are knowledgeable about the needs of the sporting community. I have worn every polarized glasses from all the “big” companies from costa, maui jim, smith. Thought i had found the end all when i wore the maui jims but soon grew tired of the weight of the glass on the bridge of my nose, I knew of rci but was always afraid because no dealers in my area and i dont like purchasing something like sunglasses without trying them on. After a while i gave the guys at RCI a call and Travis was so helpful in helping me pick out a pair of shades just that amount of service alone had me wanting to buy, I went with his recommendation of the power plant with the copper lens and after wearing them for a couple of weeks now im not looking back, hands down the clearest sight picture ive ever had im making out fish before anyone else on the boat, just yesterday even offshore i was picking out dolphin on a weedline that no one else was seeing until we were on top of them. The guys at RCI are a pure example of customer service you wont find anywhere else. THANKS Guys. Hands down most comfortable frames I’ve ever owned, it’s tough for guys with a noggin like mine to find a frame that doesn’t squeeze your head. The lenses are perfect, you boys outdid yourselves with the 780’s, I’ve tried Smith, Costa, Maui Jim and few others but nothing compares, you guys did a great job with this frame/lense combo and it’ll be the only one I buy for a long time, thanks guys, you rock. Spending 300 days a year on the water as a fishing guide is taxing on your equipment and body! The quality and durability of my RCI power plants stand the test of time and salt. Eyes that feel relaxed after long hours in the Florida sun on the water, and the knowledge that they will perform every day without fail. Quality product that is a must for all. I’ve worn many pairs of polarized glasses for fishing in my lifetime, and I was partial to one brand for many years. About 4 years ago I got my first pair of RCI’s and never looked back. The Power Plants fit great and the visibility is insane on the water. Did I mention they are also ANSI rated for safety? Love these!! By far the best shades I’ve owned. The power plants are my second pair of RCI shades and I couldn’t ask for a better pair! They fit my fat head perfect and provide all the clear vision I demand for sight fishing, with the ruggedness to last for years. 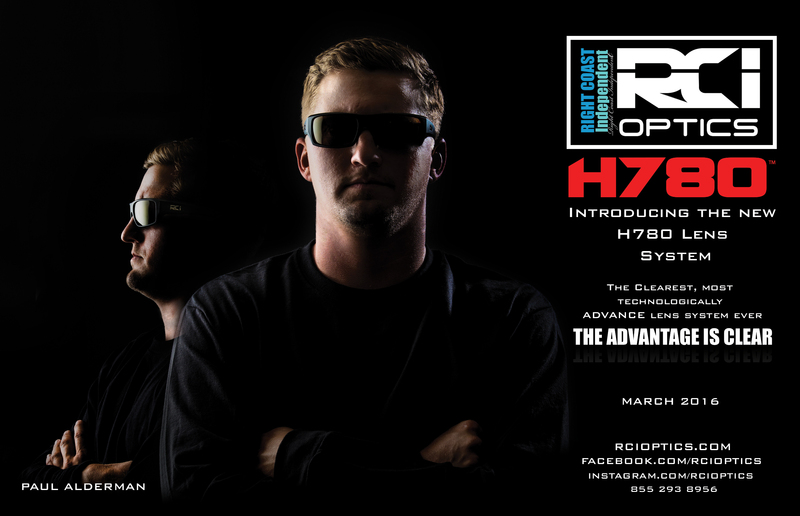 The guys at RCI are awesome to deal with and are committed to providing the best shades on the market. The Power Plant is a great fit for me. I require a larger frame. The H780 lens makes these the best shades I’ve ever owned. The copper lenses really help when sight fishing and there is zero eye fatigue after a long day on the water. The color contrast is amazing and I’m able to spot fish easily. 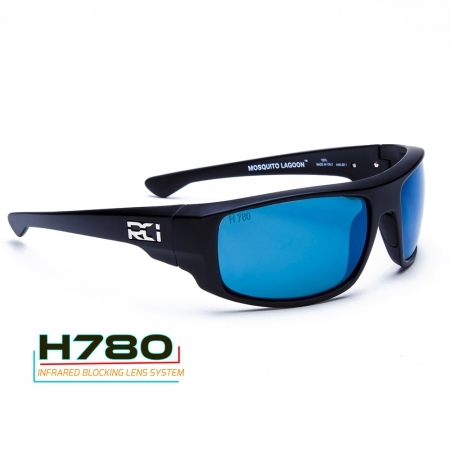 I won’t wear any other sunglasses….unless their Power Plants with Atlantic Blue Mirror H780 lenses! Absolutely love these shades! Being able to see fish from a good distance is crucial fishing the shallow waters all over Florida and the H780 lenses give you that opportunity. The power plants provide a nice large lense, keeping the frame out of your line of view, and giving you the full potential to see fish before they see you. 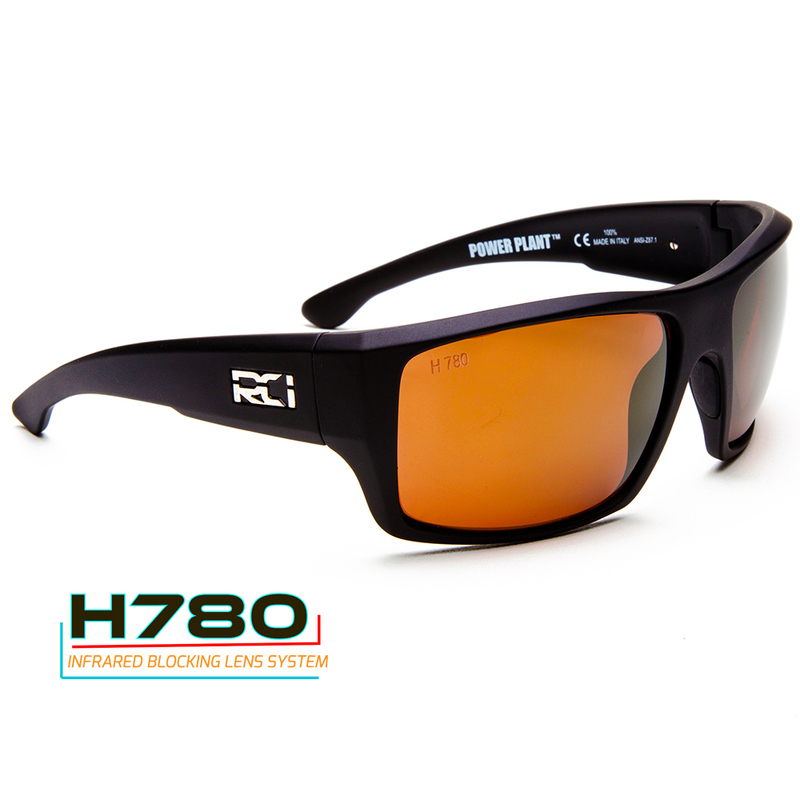 Highly recommend these if you are serious about sight fishing! I first bought the original Monster Holes, that’s when I fell in love with RCI. 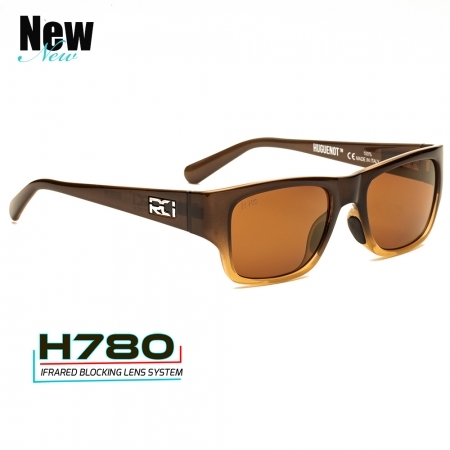 Light weight, great lenses, and the best quality of glasses I have ever worn. 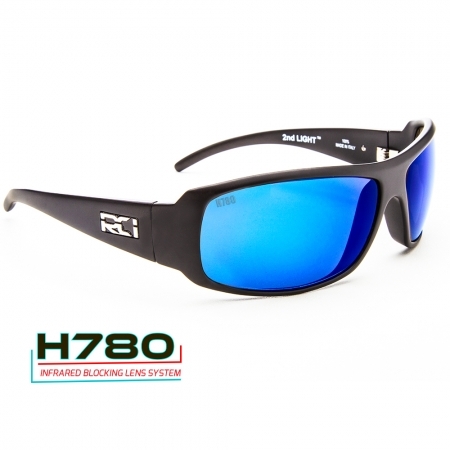 Then RCI stepped up there game even more with these Power Plants with even better H780 lenses. I love RCI, and will be a customer for life. Nice big frame, for my big ole face. The clarity and polarization of the lenses are unmatched. I’m tough on all my gear and these shades are still in great condition after over a year of torture. Highly recommend. You get what you pay for with RCI. I use the copper lens both offshore and inshore and couldn’t be more satisfied with my purchase! Hands down the best glasses I’ve ever owned! If your like me and tend to be tough on glasses there literally isn’t another brand that can compete. after owning a pair of mosquito lagoons for years i decided i wanted to get a new set of glasses for fishing only. the new lenses that RCI came out with recently are not on my lagoons and to be honest i thought they were a gimmick but after wearing the power plants with the new lenses i have to say they make a difference. after a long day on the water i have noticeably less eye strain than i have had with any other set of glasses before. do yourself a favor and pick some up. It’s very rare to find something that gives you an advantage on finding fish. But when your on the bow of the boat and the guy on the poling platform is calling out fish you dont see it can be extremely irritating. I have worn a certain brand my whole life up untill I bought my RCI’s, and believe me when I tell you, there is a whole world out there you are missing if you don’t own them.